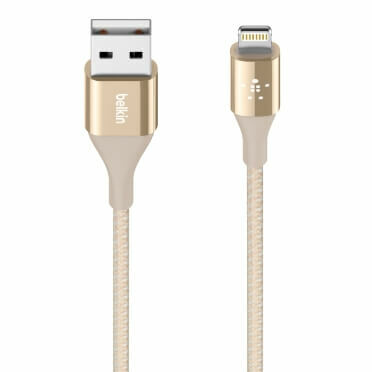 Belkin Philippines has recently introduced its latest top-of-the-line accessories for new generation iPhones. 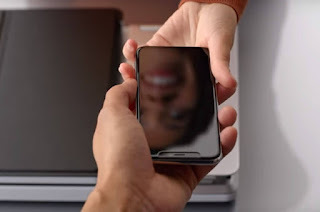 iPhone, since has become part of modern life especially as it has replaced almost every other device needed at work and in everyday life. Keep yours in peak performance with the help of the latest accessories developed by Belkin for the new ─ iPhone 8, 8+, and X. As soon as you get your hands on your new iPhone, give it additional screen protection. If you take your iPhone everywhere, you never know when an accident will happen. Better shed a few bucks on screen protector than pay thousands to fix a cracked screen. The new Belkin TrueClear Pro 2.0 Overlay (Corning glass or Tempered glass) keeps your iPhone screen scratch-free and provides it extra protection from drops without sacrificing its premium look and touchscreen sensitivity. No need to worry about misalignment, bubbles, and dusts because at Power Mac Center, it is applied by a trained professional using the proprietary Belkin applicator machine. The iPhone is powerful but it still needs power ─ in the literal sense. Fuel up your multitasking iPhone with the new Belkin Wireless Charging Pad for iPhone 8, 8+, and X. Forget pesky cables; just lay your phone onto the charging pad and go. Charge in multiple orientations: portrait, landscape, or anywhere in between. 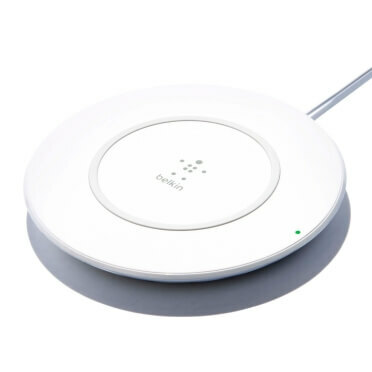 You don’t even have to remove your phone case as Belkin’s wireless charger works through most lightweight plastic cases. The secret to how wireless charging works? Electromagnetic induction. When the signal generated by the transmitter coil in the charging base senses the one in the receiver coil of the iPhone, the electrons inside the transmitter coil start to flow around it. This generates a magnetic field, which is sensed by the electrons in the receiver coil. The electrons trapped inside the receiver coil then start to flow around it and generate electricity, which eventually powers the battery in your iPhone. If you must use cables though, the Belkin Mixit DuraTek beats most lightning cable-related problems such as fraying and breakage. Its double-braided nylon outer covering protects the wires, which are especially reinforced with Kevlar, the same high-strength synthetic fiber used in bullet-resistant vests, helmets, and extreme sports gear. However demanding your work routine, the DuraTek can withstand bends and common stresses. More importantly, you are assured of the safety of your device as it is Apple MFi Certified. Belkin TrueClear Pro 2.0 Overlay (starts at Php1,090), Belkin Wireless Charging Pad (starts at Php1,690), and Belkin Mixit DuraTek (starts at Php 1,690) are now available in select Power Mac Center stores nationwide. More details are available at the website and official social media pages on Facebook, Twitter, Instagram, or YouTube (@powermaccenter).